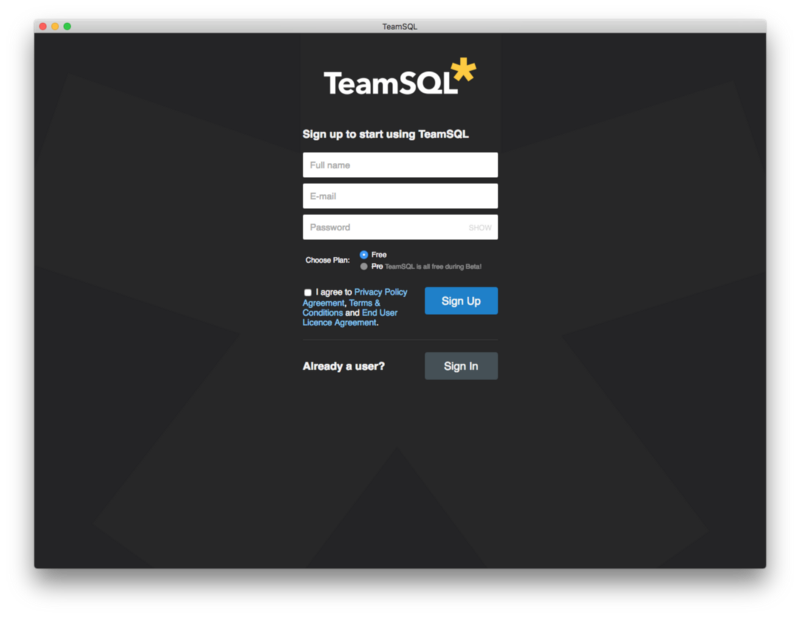 This guide is designed to get you up and running with TeamSQL as quickly as possible. 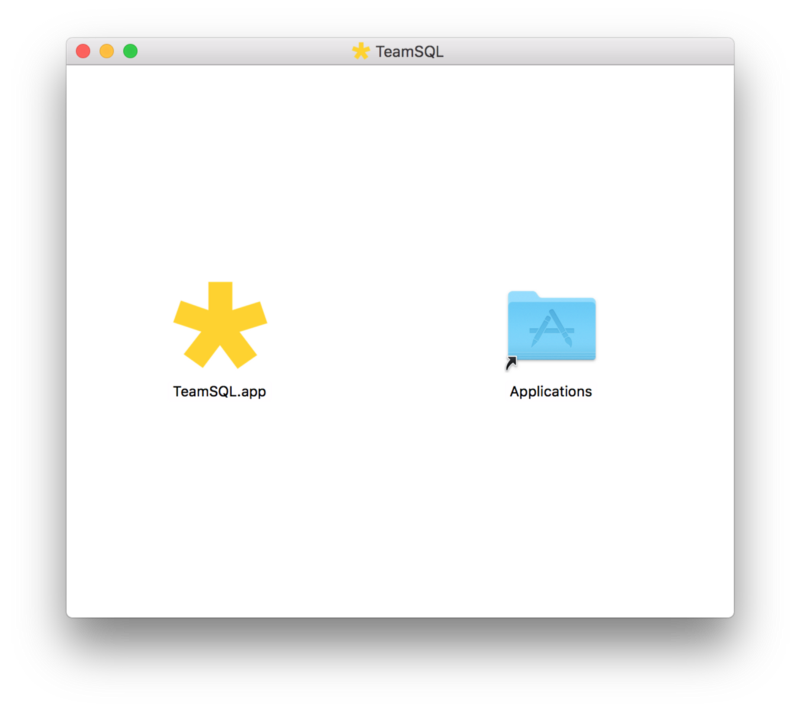 Drag and drop the TeamSQL icon onto the icon for your Applications folder. 3. Wait for the files to copy to your Applications folder. 1. 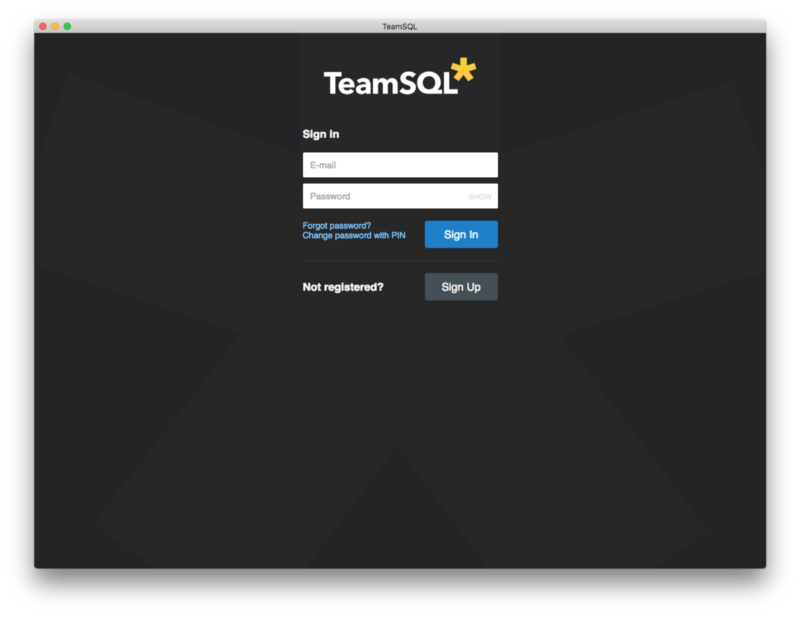 Once TeamSQL has been installed, you can launch it using its icon located in your Launchpad. 2. You will be asked to register to use TeamSQL. If you already have an account, click Log In and provide your access credentials. 3. Once you’ve registered and logged in, you will be asked to connect to your database server. 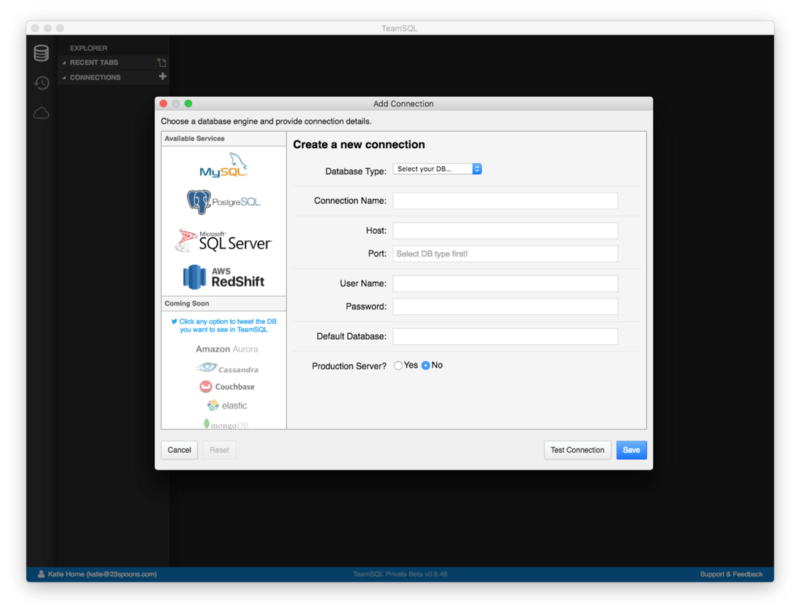 Before you can connect to your database server, you’ll need to set up a connection to it in TeamSQL. 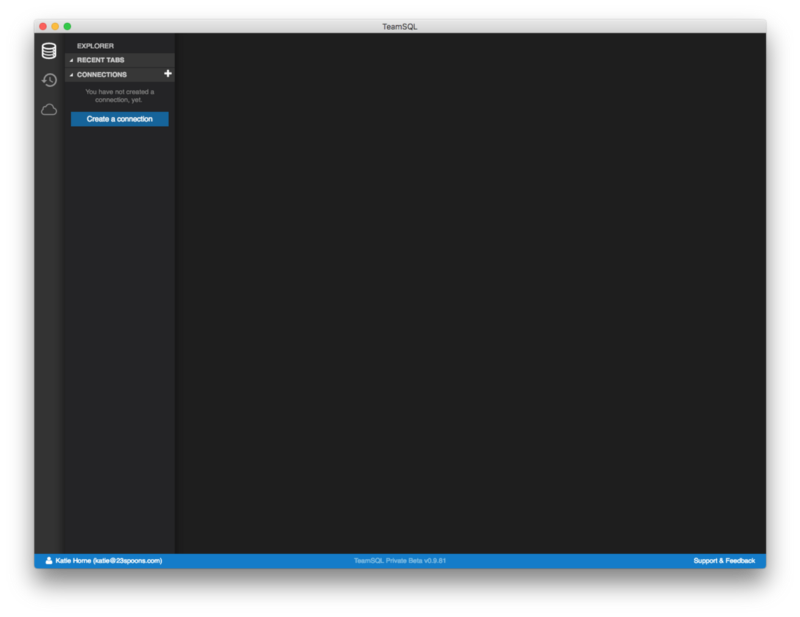 To start using TeamSQL, click Create a connection to launch the Add Connection window. Please note that TeamSQL does not store any of your database server credentials in the cloud. They are only stored locally. Before saving, you can check your inputs by clicking Test Connection. Once connected, you’ll see a green dot next to your connection name, as well as a list of the databases on your server. Congratulations! You are now ready to use TeamSQL.